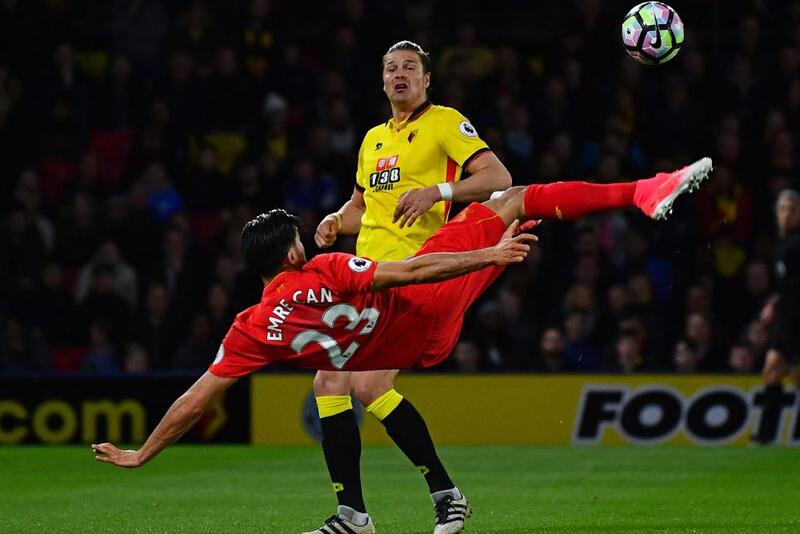 Emre Can’s acrobatic effort at Watford has won the Carling Goal of the Season award. Can’s audacious volley on 1 May was the winning goal at Vicarage Road as Liverpool took a giant step towards a top-four finish and a return to the UEFA Champions League. Running on to meet Lucas Leiva’s lofted pass, Can swivelled and took flight to connect with an overhead kick that beat Heurelho Gomes from just inside the box. "I didn't think too much and then I scored and I think I will never score [a goal like that] again!” Can told liverpoolfc.com. "It was the best goal I've ever scored. It was an unbelievable goal!" 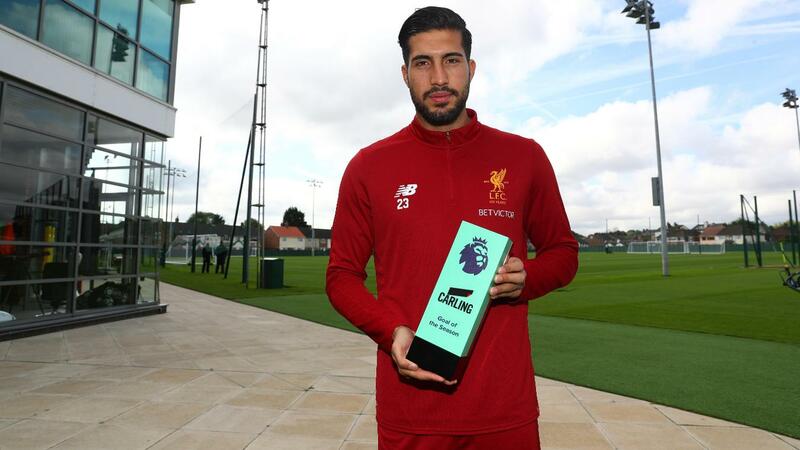 Can’s goal was chosen from a shortlist of 10 contenders from the combined votes of a panel of experts and the public, who picked their favourite via the Carling Tap or the Carling website. It beat other stunning strikes including Andy Carroll’s scissor-kick, Eden Hazard’s dribble and finish, and Henrikh Mkhitaryan’s flicked scorpion goal. He follows Chelsea’s N’Golo Kante and Antonio Conte, who won the EA SPORTS Player and Barclays Manager of the Season awards respectively.